burgundy shoe boots: I've never really been into studds, even when they were everywhere as they're not really me! But, on these shoe boots they are an exception, these shoes are gorgeous, especially the colour. I'm a huge fan of burgundy for this season and I also love how the studds are gold, makes it more glam! black glitter bow flat shoes: I always wear dolly shoes, even in the winter with some skinny jeans or leggings, and I especially love these because they're so feminine and pretty. You've got to have a bit of sparkle in the christmas/winter season and these are perfect for that, I'm also a huge fan of the oversized bow! studded platform shoe: Same as the previous boots, with the whole studds situation, I think they are beaaaautiful on these and they would definitely jazz up an evening outfit! I also love heels (not only because they make me taller as I'm pretty short) but they're so many different styles! vans: I don't actually own a pair of Vans, which is really annoying because when they first came out, everybody went crazy for them and I didn't want to join in with the craze! I've always been into more feminine shoes but I really like these and I think I'll purchase a pair, especially the burgundy ones. black bag: I am obsessed with bag and absolutely adore shopping for them. This one is a huge favourite of mine! I love the shape as it's very sophisticated, and it's also a reasonable size to fit things in, I'm also a huge fan of the long handles on bags as it's more comfy. rabbit tassel bowler bag:This bag mainly caught my eye because I really like the big, gold rabbit logo on the front because it adds detail and I think black and gold are a great combo! I can't seem to find the brown bag i'm afraid, it's seemed to have disappeared, sorry guys! Hey just came across your blog. Great post! I study photography so I'd love to see more of your posts on that too! this is how i've spent my evening! i love your blog, i've just started followig. you seem so lovely and i'd love to chat more so pop over and say hi if you get the chance. Wow those velvet studded boots are so fierce, I love them! Love the bags too, I'm such a bag hoarder, haha. The velvet boots are to die for! How amazing are those burgundy boots..literally wow i want them haha! Follow you back on gfc (42). 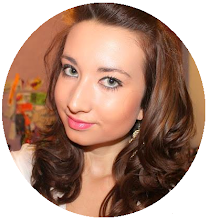 Do you also follow me on bloglovin? Have a nice rest weekend!!! beautiful shoes *_* your blog is vety lovely and interesting. im glad if you visit my blog, too <3 keep in touch!